Offa’s Dyke is alive and well, but often found snoring deeply in slumber beneath the surface of modern culture and politics. 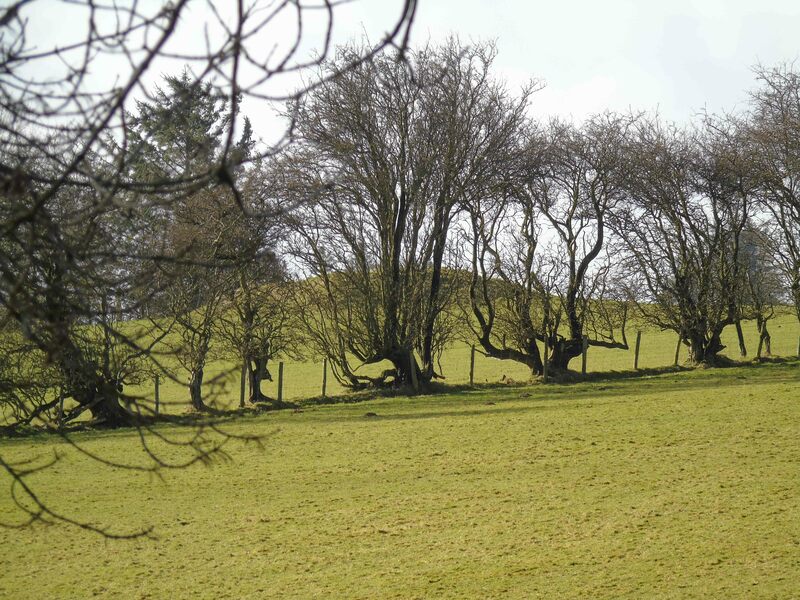 To use another mildly implausible analogy, the early medieval linear earthwork, regarded as built by the orders of the Mercian king Offa, is like an iceberg, or perhaps a dormant volcano. It is seemingly untouchable, immovable and with hidden roots and dimensions. It lurks on the border like Grendel in the landscape and perception modern England, and is a defining characteristic of Welshness over 11-and-a-half centuries since its construction. Today, most avoid it or pretend it isn’t there, neglecting it or simply reutilising it for long walks. Welsh and English nationalists alike occasionally drive ships at it in the hope of cracking it or steer it in one direction or another (if you want to go with an iceberg analogy) or pour waters on it (if you see it as volcanic). Still it survives, dormant and monumental. 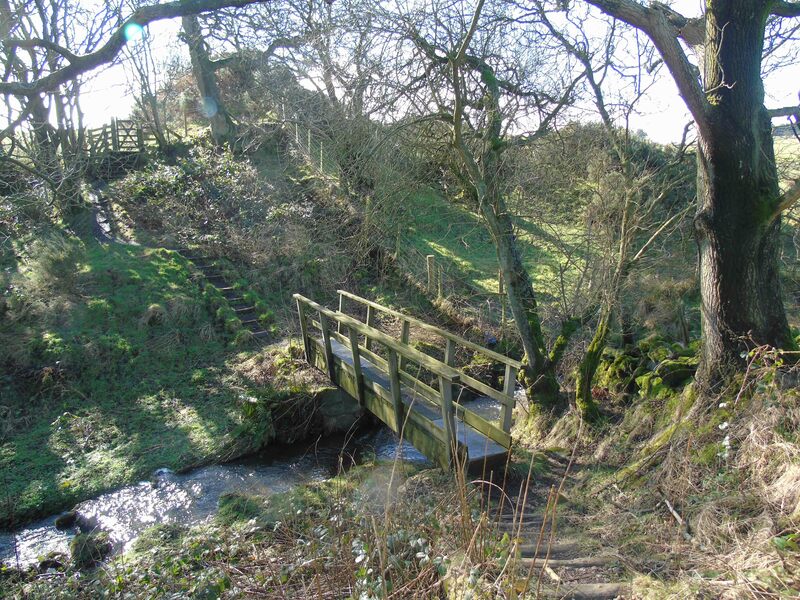 Offa’s Dyke is inexplicable to many, unknowable to the majority. In places it is too denuded to be appreciated, elsewhere it is completely lost. Yet simultaneously, even where it survives best, it is simply too big to look at for most and even professional archaeological surveys have been conducted along only very short stretches of its length; something which is shocking to apprehend in 2017! Some see it as a visionary military and political achievement, a few regard it as a folly and a delusion. Some even deny it exists as a coherent monument at all. Offa’s Dyke and the modern border of England and Wales weave alongside each other from the Severn to the approaches to the Dee estuary. 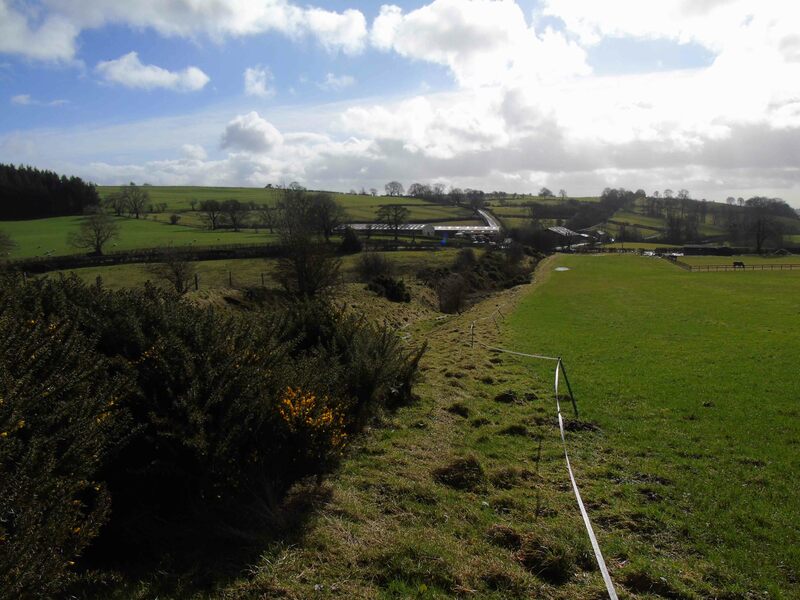 Yet, there are actually only 4 significant stretches of the known line of the 8th-century linear earthwork known as ‘Offa’s Dyke’ that closely coincide with the modern English-Welsh border. Only 4, although there are multiple places where they intersect or run in close proximity for short distances. 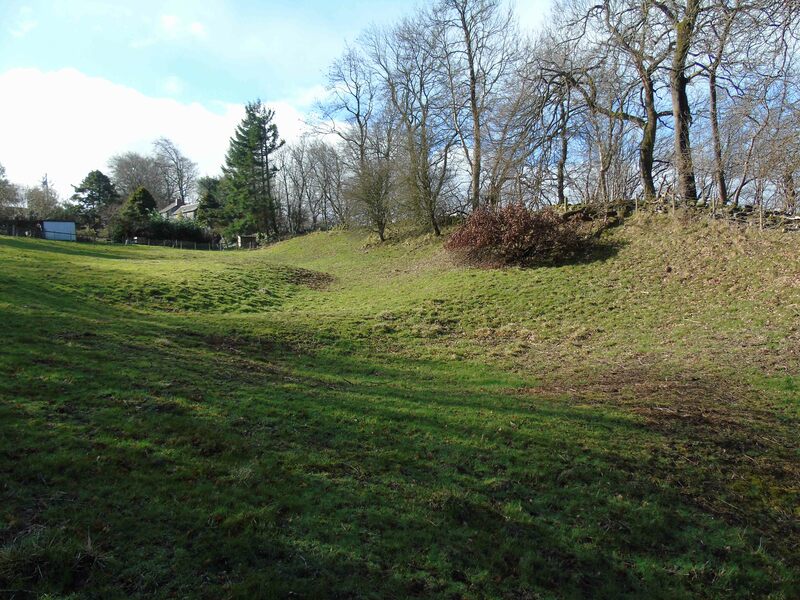 These 4 sections are important for understanding the early medieval earthwork. The coincidence with the modern border not only reveals shared topographical dimensions (following ridges and rivers), but also long-running, complex, varied, but still historical, political relationships between aspirations of the 8th century and the present. Running from aspirations to create a ‘Mercian March’ (using Ray and Bapty’s 2016 book’s term), Offa’s Dyke seems rapidly to have been abandoned, but was succeeded by many subsequent aspirations to control and consolidate a frontier between the Dee and the Severn through the later Middle Ages to the present day. The northernmost is a stretch west of Selattyn Hill, from Carreg-y-big farm, through Orseddwen and Craignant to Bronygarth. 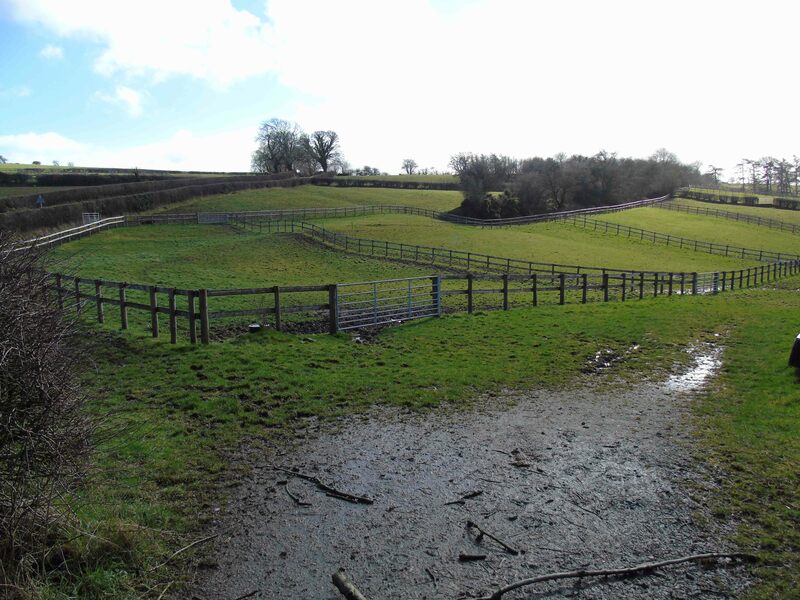 it survives to various states of monumentality – some variation might be to do with historical variations in land-use, others clearly related to differing performances of the dyke in the landscape. 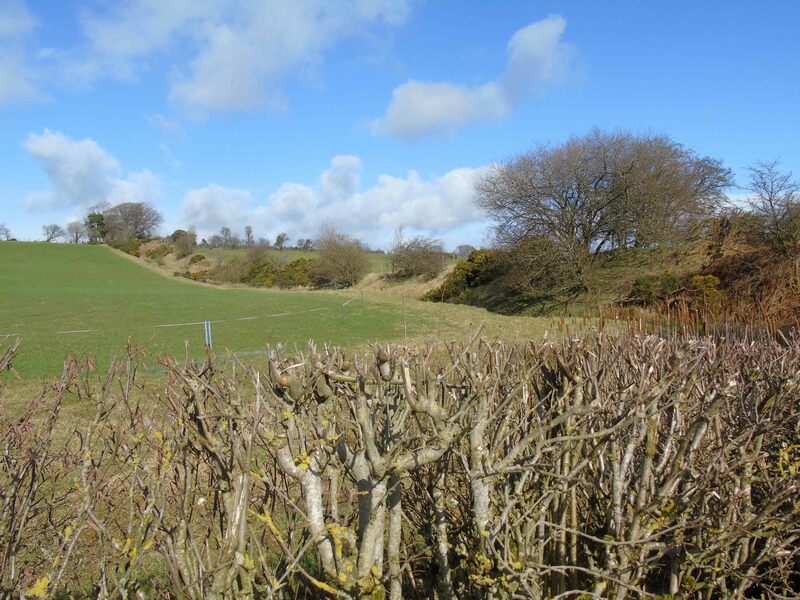 Despite these challenges, this stretch allows the visitor to appreciate its careful emplacement in the landscape as the dyke negotiates the steep terrain from the Morlas Brook around the western slopes of Selattyn Hill and Baker’s Hill. In doing so, it responds to topography. Also, it was built in linear stretches which link together key angles where the monument shifts direction. 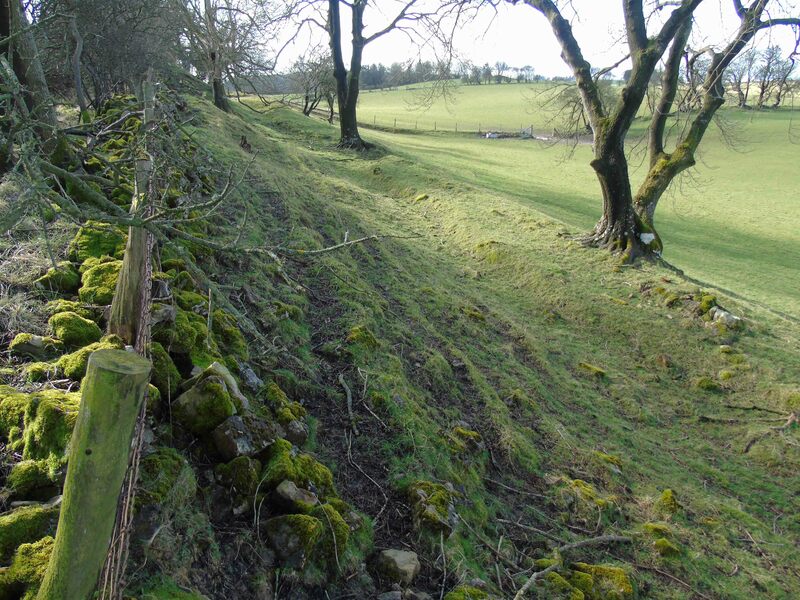 One can see quarries to the dyke’s east, seemingly unsurveyed, that were used to create the bank, while material from the ditch might have also been used, as well as to create a counterscarp bank apparent in places. 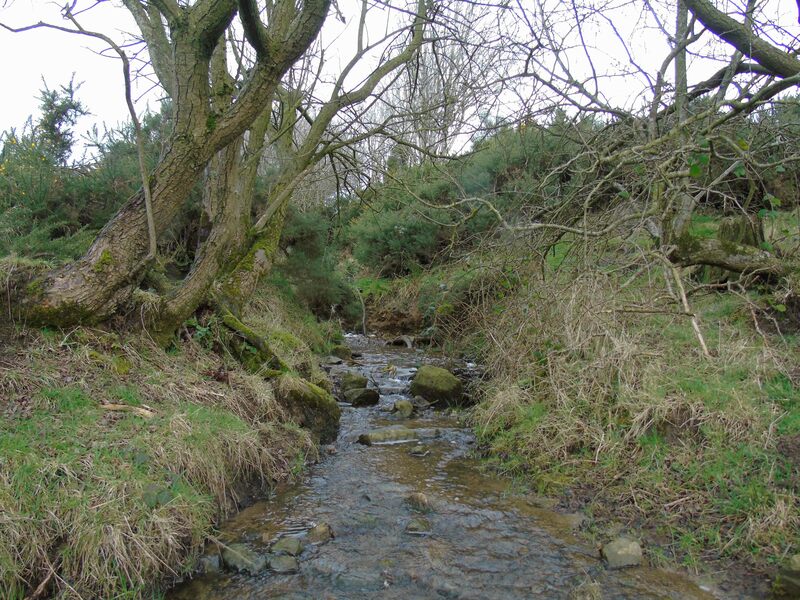 It is possible to see how it boldly negotiates two minor water courses; a tributary of the Morlas Brook, and another short-running stream, where the dyke’s ditch actually because a modern water course. It is also possible to see its prominent counterscarp bank in places, and strikingly monumental form as it navigates around Selattyn Hill. 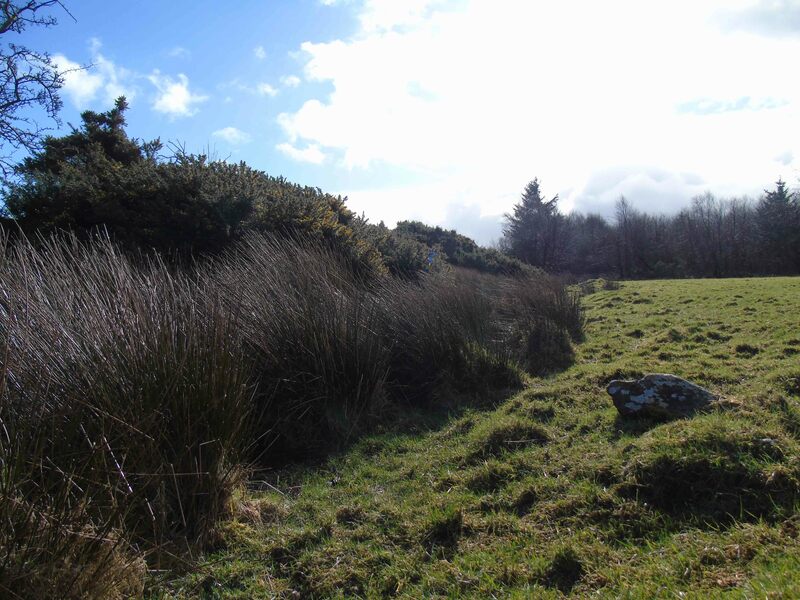 ‘Cairn’, west of the dyke, west of Selattyn Hill. 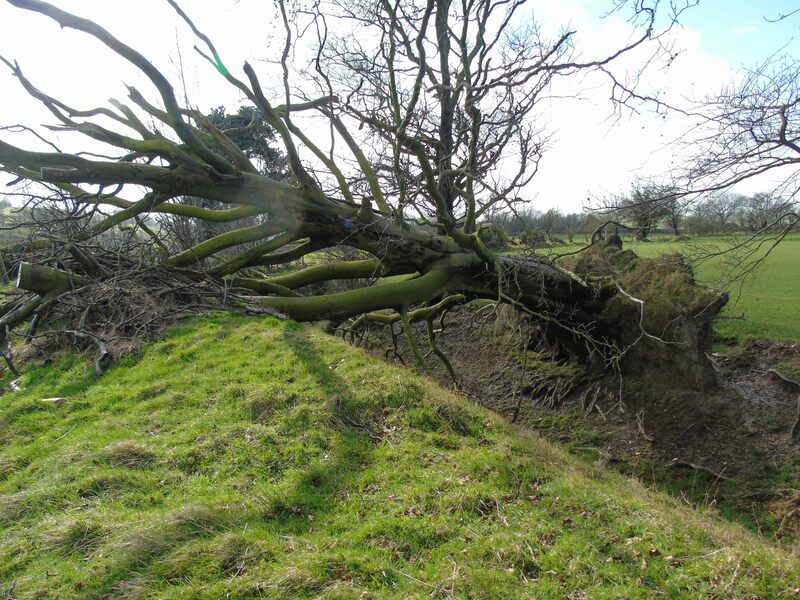 Significantly, this survives just where the dyke makes a significant angle turn. North of here, it runs SSW-NNE to Morlas Brook. S of here, it runs NNW-SSE to Orseddwen. The wider interaction of the monument with the landscape is also key here. As discussed for the line north of the Morlas Brook towards Bronygarth and Chirk, the dyke has restricted views west, but key visual interplay with prominent hilltops to the west. 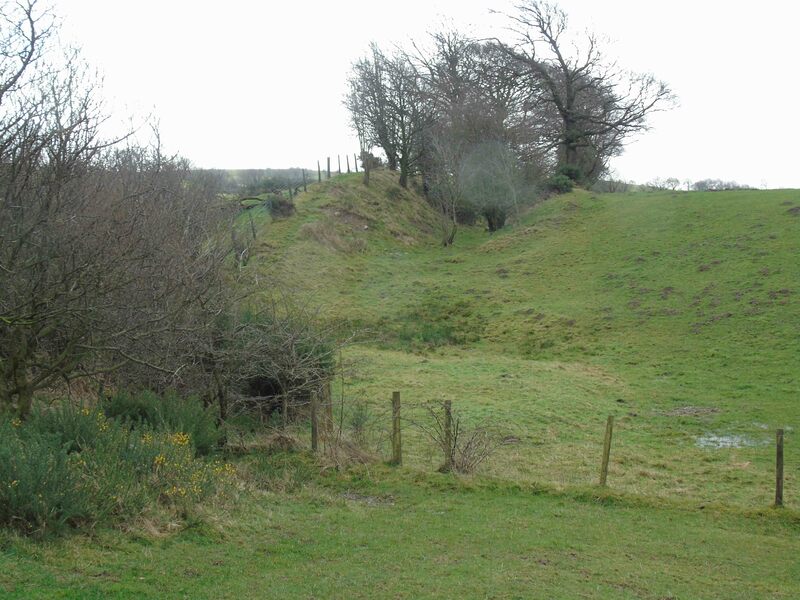 Near Selattyn Hill, this includes a prominent prehistoric burial mound west of the line of the dyke and a potential lookout place for anyone approaching or guarding the dyke. 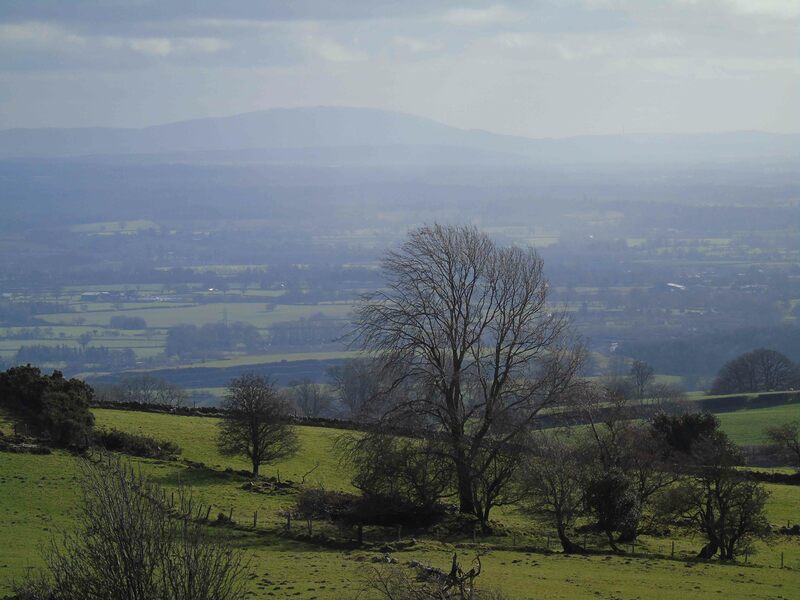 A further dimension is that, for large parts of its distance, the dyke enjoys striking views east over the Cheshire and Shropshire plains towards the Wreckin and Long Mynd, allowing ready communication over large tracts of ‘Mercian’ territory. Presumably beacons on the top of Selattyn and Baker’s Hills could readily communicate along the dyke and back from it. 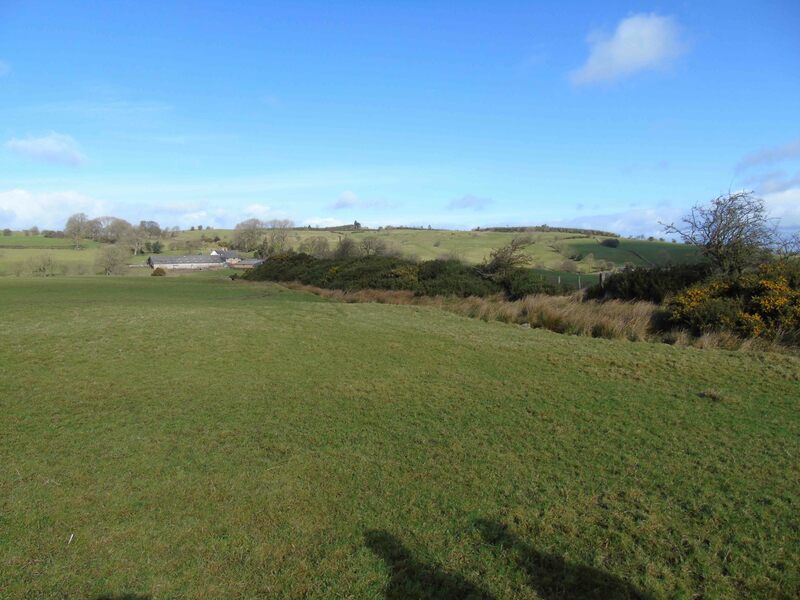 Finally, the dyke runs towards Carreg-y-beg farm from either side at an angle, enhancing its visual command of land to the west. It is this location which Ray and Bapty speculate might have been an historic gateway through the monument. Indeed, this farm is the present-day crossroads of routes converging from both west and the east. Its significant change in direction at this point does indeed suggest it might have been a key node of controlling movement through the landscape along and across the dyke. 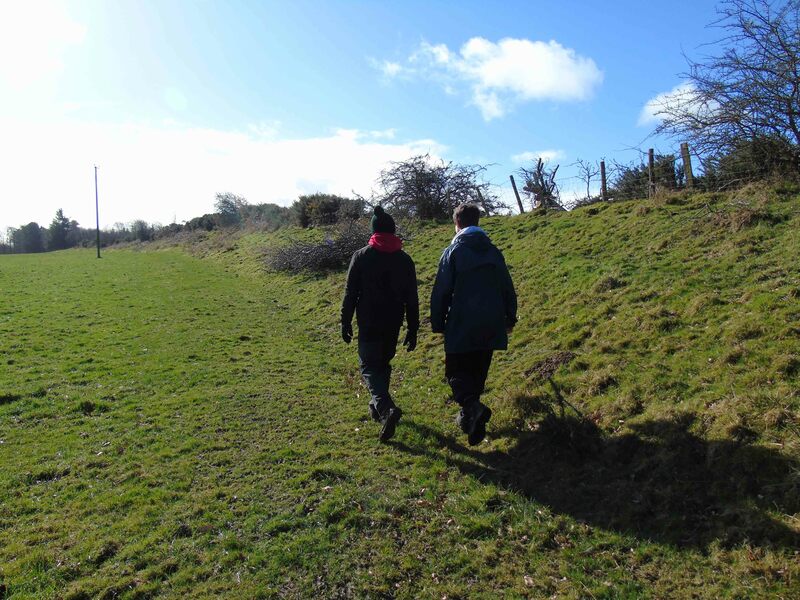 In summary, this walk reveals many of the key landscape and design elements discussed by Ray and Bapty in their recent book. The fact that its line is the present-day border at this location adds significance to these features, and how they matter for understanding landscapes past and present.